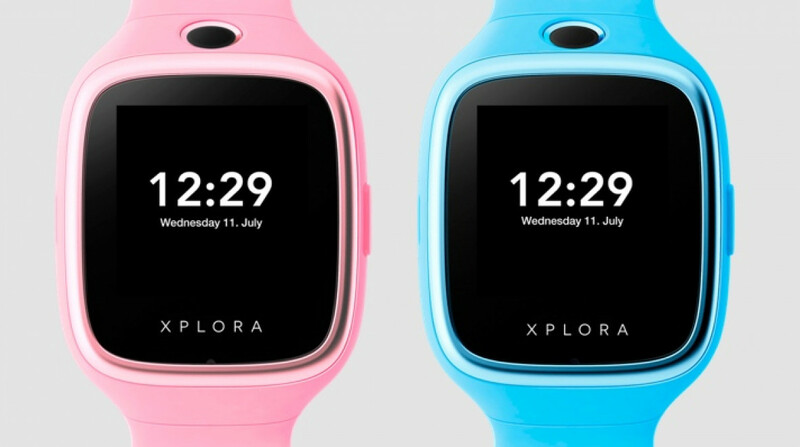 Norwegian-based wearable maker Xplora is back with another smartwatch for kids with the unveiling of the 3S watch phone. Like its previous kids smartwatches, the Xplora 3S has a big focus on keeping children safe and allowing parents to be able to keep a closer eye on their little ones when they're away. But it also wants to give kids a taste of that smartwatch experience us grown ups get with the likes of the Apple Watch and Google's Wear watches. One of the 3S's headline features is the waterproof design and has been slapped with a IP67 water resistance rating. That means it can be submerged in water for 30 minutes at up to 1.5 metres depth. There's also a built-in camera with photo storage to let you take snaps and it also includes message and phone call support. If you want to know where your kids go wandering, geolocation tech, which uses GPS, Wi-Fi and GSM triangulation ensures the best possible real-time location tracking to find out where they are. Other features include enabling parents to set safety zones, an SOS button, dedicated off-times you can set when you don't want your kids to use the watch, a calendar mode and step tracking. It works with the parental companion smartphone app (iOS and Android), allowing up to two administrators giving adults control of preferences and the ability to view their child's location at any time. We should mention that in 2017, Xplora was one of the companies named in a report that stated that kids smartwatches were at risk from hacking. The report suggested that devices were transmitting and storing data without encrypting the information first. Xplora immediately fixed the hypothetical issue off the back of the report so that its wearables would not fall foul of that problem making is devices safe for kids to use. Along with a new smartwatch for kids, Xplora is also unveiling the Module X. The device is said to be suitable for range of uses cases including children, the elderly, pets, for use with bikes and even for items like luggage. All of the Module X devices come packed with core features like GPS, location tracking, an SOS button, geofenceable areas, Wi-Fi and network coverage. But there's extras too depending on how that tech is being used. So in the case of the bike tracker, it also includes a G-sensor that can let the owner know if their bike has been stolen or tampered with via the companion smartphone app. The pet tracker can monitor the whereabouts of your pet, while the version of the device designed for the elderly uses the SOS button as a way of owners to let family members or carers know that they have fallen over. There's no details on pricing on the Xplora 3S smartwatch or the Module X device, but we do know that the 3S watch will be available to buy from 17 September in European markets. Both wearables will be shown off at the IFA 2018 tech expo and we'll be there to get a closer look at the two new devices.